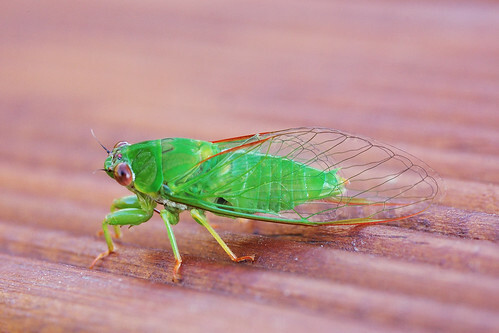 There’s a new guidebook out for the cicadas of New Zealand. The book was produced by 10-year-old Olly Hills — proof that there are few age barriers to scientific interest and research. Facebook page for the book. There’s a new paper from Sarah E. Banker, Elizabeth J. 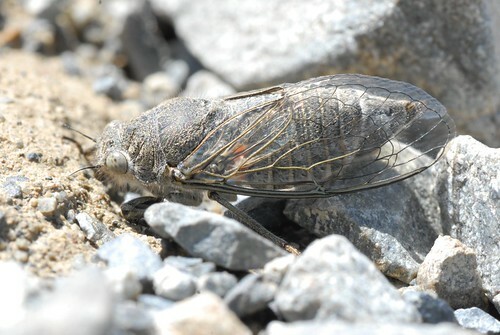 Wade, and Chris Simon titled “The confounding effects of hybridization on phylogenetic estimation in the New Zealand cicada genus Kikihia”. Tested validity of an unexpected “Westlandica” mitochondrial clade with nuclear loci. Phylogenetic signal and pattern differ dramatically among nuclear genes but always weak on South Island. No conflict between nuclear concatenation vs species trees from multiple methods. Three nuclear species trees support major North Island but not South Island mitochondrial clades. Sarah E. Banker, Elizabeth J. Wade, Chris Simon, The confounding effects of hybridization on phylogenetic estimation in the New Zealand cicada genus Kikihia, Molecular Phylogenetics and Evolution, Volume 116, November 2017, Pages 172-181, ISSN 1055-7903, https://doi.org/10.1016/j.ympev.2017.08.009. 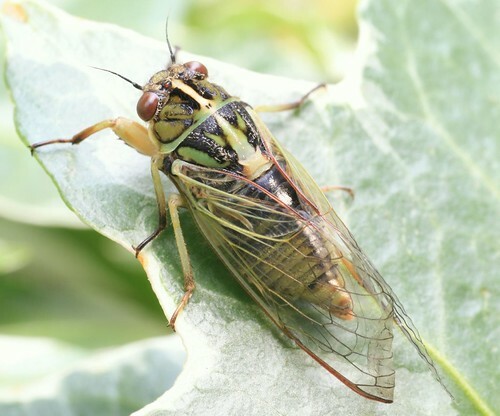 First, there’s the NEW ZEALAND CICADAS (HEMIPTERA: CICADIDAE): A VIRTUAL IDENTIFICATION GUIDE which features photographs and extensive information about the cicadas of New Zealand. The site has an abundance of information, and a wonderful design & layout. Second, there’s Cicada Central’s New Zealand Cicada website, which features an electronic field guide of New Zealand Cicada Species, a specimen database, and a photo gallery featuring Kikihia, Amphipsaltas, and Maoricicada. 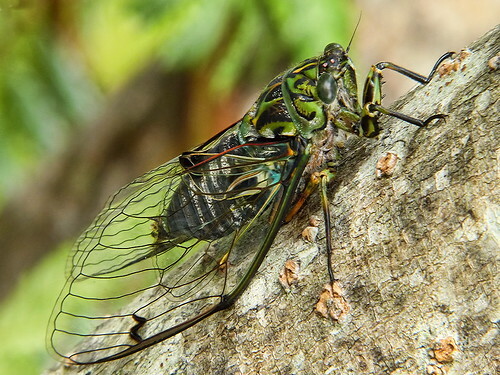 Third, iNaturalist is an excellent place to discover information about cicadas, and report sightings. 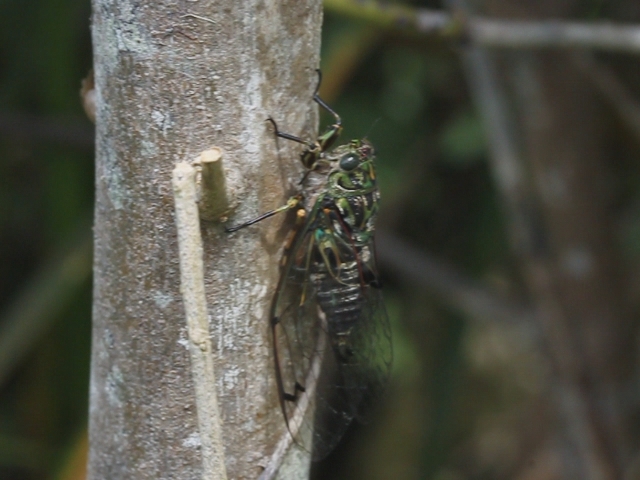 I asked David Marshall of InsectSingers.com, “when does New Zealand cicada season start and end?” His answer essentially is that it depends on the location, elevation, and species, but the best months are between December and April. Interestingly, in certain locations K. muta sing every month of the year. David also mentioned the Amphipsalta zelandica (Feb-March) which calls using wing-clicks! Here is a video. 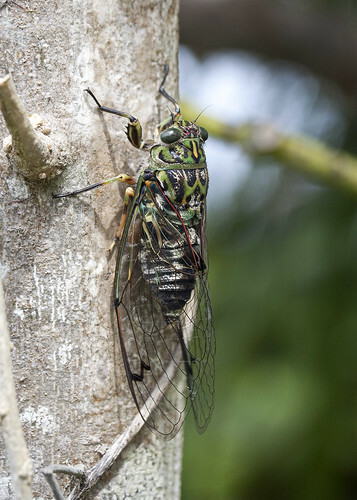 Read the downloadable article Chorus Cicada, Amphipsalta zelandica (Boisduval), males calling with only wing-clicks by Kathy B. R. Hill, The Weta (2012) 43(1): 15–20, for more information. 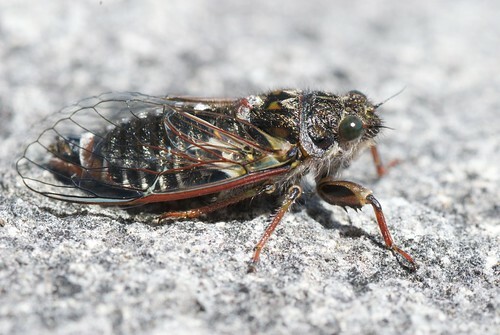 New Zealand Cicadas (Hemiptera: Cicadidae): A virtual identification guide. An Encyclopaedia of New Zealand.